You feel young on the inside, but the reflection in the mirror is showing the many years passed. 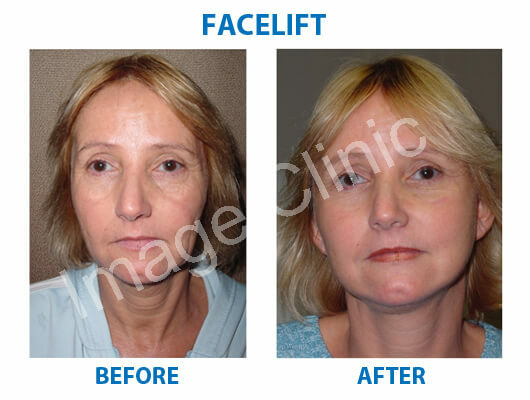 When looking as young as you feel is what you want, a Facelift procedure is what you may need. Medically known as Rhytidectomy, Facelift is a surgical procedure which targets the upper neck area and face, with effects lasting for at least 10 years. Loss of volume, muscle tone, redistribution of fat and loose skin fat in the lower face might lead to the appearance of a aging face. This can be easily corrected with a facelift procedure which lifts all layers – skin, underlying tissues and muscle. However, it can be easily corrected with Face Lift procedure. Other rejuvenation procedures are perform in tandem with facelift are Eyelid surgery for rejuvenating eyes and Browlift for correcting deeply furrowed or sagging brow. This procedure is meant for candidates who have relatively lesser looseness in neck. The incision is made in front of the candidate's ear with small or no extension that goes to the back of ear, with effects lasting for at least 10 years. This outpatient procedure is done under local or general anesthesia, with bandages off in 2 days, and suture removal in 7 to 8 days. This kind of surgical process is restricted to cheek area and require a very small incision in front of the ear, with effects lasting for at least 10 years. This outpatient procedure is done under local or general anesthesia, with bandages off in 2 days, and suture removal in 7 to 8 days. This kind of surgical process is restricted to jowl area (sagging skin along the jawline)and requires a very small incision in front of the ear, with effects lasting for at least 10 years. This outpatient procedure is done under local or general anesthesia, with bandages off in 2 days, and suture removal in 7 to 8 days. In this procedure, minimum access cranial suspension is done where cheeks, jowl and neck are lifted, and then suspended for covering muscles as well as bones. It involves less dissection, with effects lasting for at least 10 years. This outpatient procedure is done under local or general anesthesia, with bandages off in 2 days, and suture removal in 7 to 8 days. In this type of surgical procedure, Endoscopy is used for lifting diverse parts of the face. Endoscopic Necklift and Endoscopic Forehead can be performed in conjunction with Endoscopic Face Lift, with effects lasting for at least 10 years. This outpatient procedure is done under general anesthesia, with bandages off in 2 days, and suture removal in 7 to 8 days. There are different types of thread lifts and the entire procedure is performed through extremely small incisions. It is performed under local anesthesia. The affects of this procedure lasts only for one year. This process does not involve skin tightening and is not appropriate for candidates who have loose skin. Men and women in their forties are considered as the ideal candidates for the procedure. As we grow older, gravity takes over causing wrinkles and folds on our face. This adds years to our look. To turn back the clock, a facelift surgery in Delhi can erase years. An experienced face lift surgeon in Delhi can help you in achieving the desired look to achieve the perfect face lift surgery procedure in Delhi. 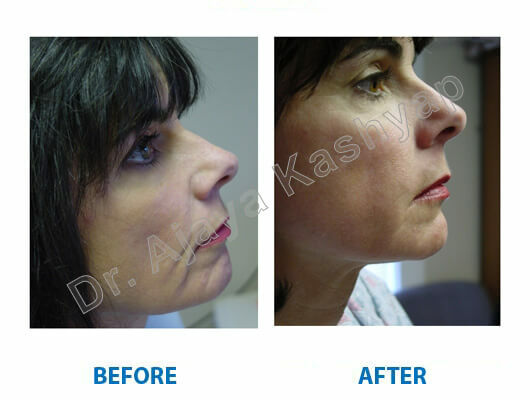 Facelift surgery in India requires the expertise of Dr. Ajaya Kashyap, MD, FACS who is the best face lift surgeon in Delhi. Contact us anytime to find out about the economical facelift surgery cost in Delhi at our Facelift Surgery Clinic in India.